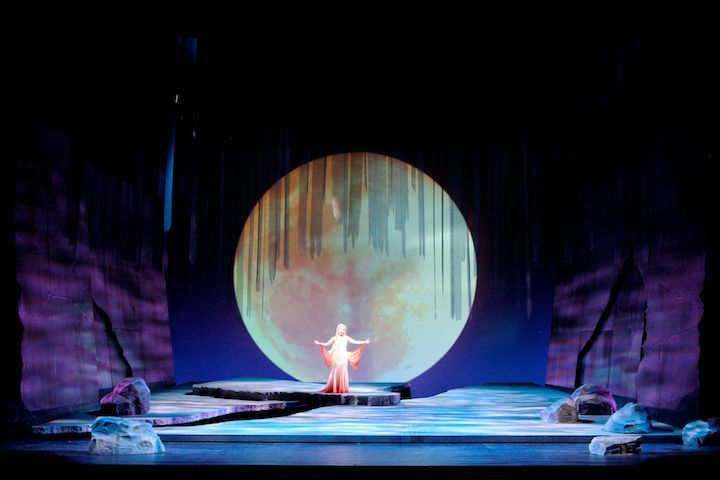 The Madison Opera will stage its production of Antonin Dvorak’s luxurious masterpiece Rusalka on Friday night, April 26, at 8 p.m. and Sunday afternoon, April 28, at 2:30 p.m. in Overture Hall at the Overture Center, 201 State Street. Running time is 3 hours with two intermissions, and will feature projected supertitles with English translations of the original Czech that will be sung. Set in a mythical realm, Rusalka is about a water nymph who falls in love with a human prince. She tells her father Vodnik that she wishes to become human and live with the Prince on land. Horrified, Vodnik tells her that humans are full of sin, but reluctantly suggests she enlist the help of Jezibaba, a witch. Jezibaba agrees to make her human, but cautions that Rusalka will lose her power of speech. Further, if the Prince betrays her, she will be cursed forever. The Prince falls in love with Rusalka and plans to marry her, but her silence unnerves him, and a Foreign Princess interrupts the wedding festivities with evil intent. 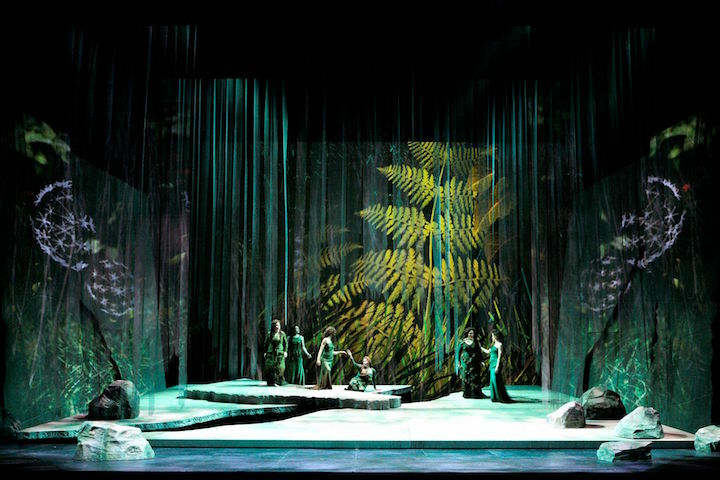 Rusalka returns to the lake as a spirit that lures men to their death – and the Prince follows her. Rusalka’s story was inspired by multiple sources, including Slavic mythology and the fairy tales of Karel Jaromir Erben, Hans Christian Andersen, and Friedrich de la Motte Fouqué. The opera premiered on March 31, 1901 in Prague and quickly became a massive success, hailed as Dvorak’s masterpiece. But it was not initially widely performed outside of Czech territories; the first U.S. performance was in 1975. 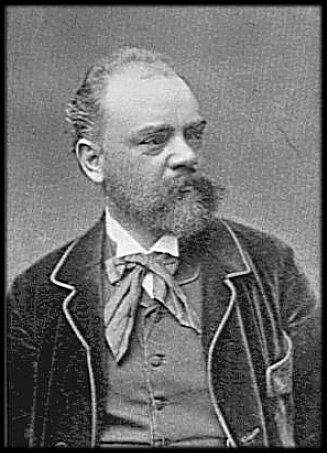 But in recent decades, the opera by Dvorak (below) has become a regular part of the opera repertoire, due to its beautiful music and lovely story. This production is not only a Madison Opera premiere, but also the company’s first-ever opera in Czech. 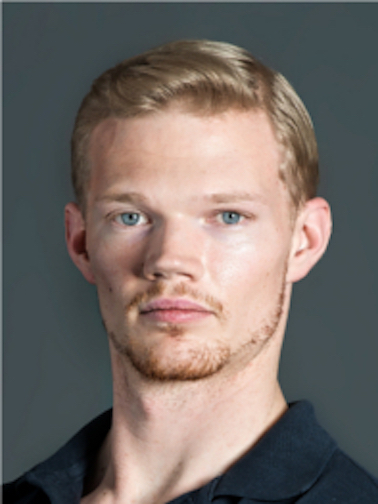 Tenor John Lindsey (below) returns to Madison Opera as The Prince, after singing in last summer’s Opera in the Park. Making their debuts with Madison Opera are soprano Karin Wolverton as the Foreign Princess, contralto Lindsay Amman as the witch Jezibaba and bass William Meinert as Rusalka’s father, Vodnik. 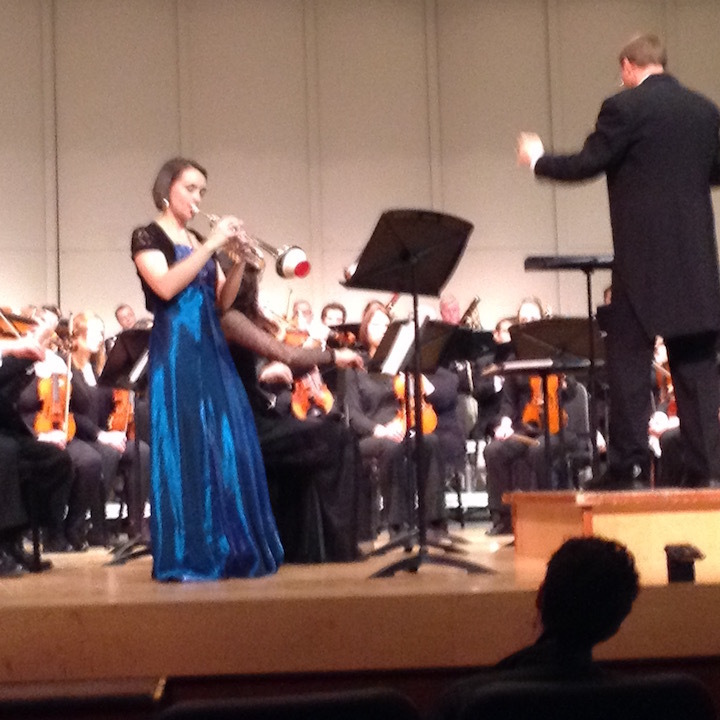 Emily Secor, Saira Frank and Kirsten Larson play the three wood sprites; Benjamin Liupaogo sings the Hunter. 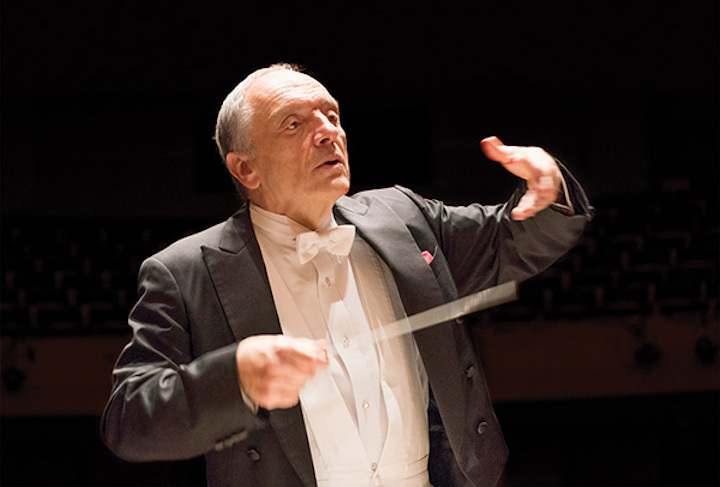 The Madison Opera Chorus and Madison Symphony Orchestra round out the musical forces, all under the baton of John DeMain (below, in a photo by Greg Anderson), Madison Opera’s artistic director. 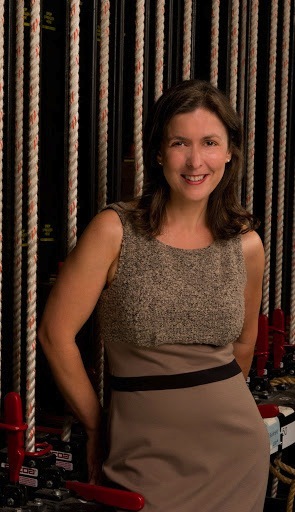 Keturah Stickann (below) directs her first opera for Madison Opera; she has directed both traditional and contemporary repertoire across all of the U.S., most recently for San Francisco Opera and Washington National Opera. Madison Opera’s production of “Rusalka” is sponsored by the National Endowment for the Arts, Kay & Martin Barrett, Millie & Marshall Osborn, Sally & Mike Miley, Kato Perlman, Charles & Martha Casey, John Lemke & Pam Oliver, and The Ann Stanke Fund. You can learn more about “Rusalka” at the events leading up to the performances. 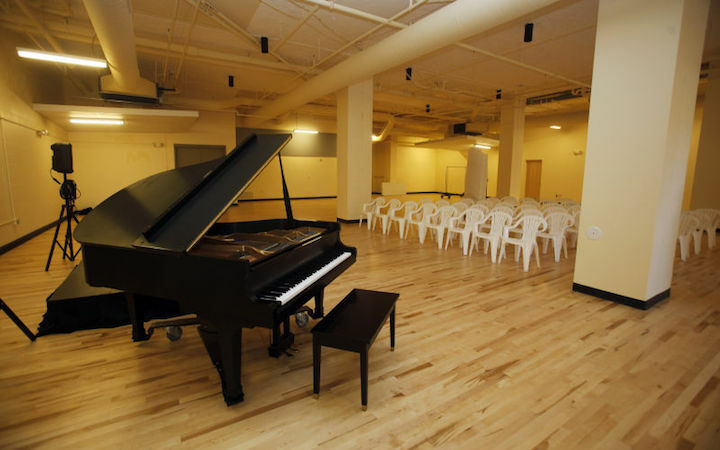 Opera Up Close will take place this Sunday, April 21, 1-3 p.m. at the Margaret C. Winston Opera Center (below) 335 West Mifflin Street, $20 general admission; free for full-season subscribers; $10 for two-show subscribers. 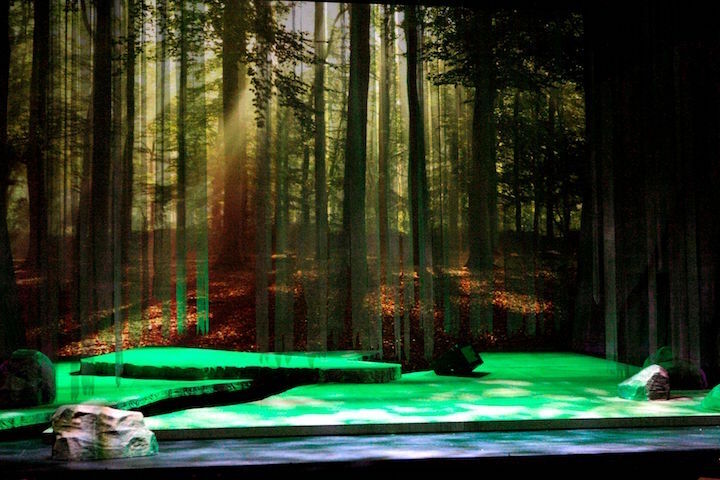 This event features a multimedia behind-the-scenes preview of Rusalka. 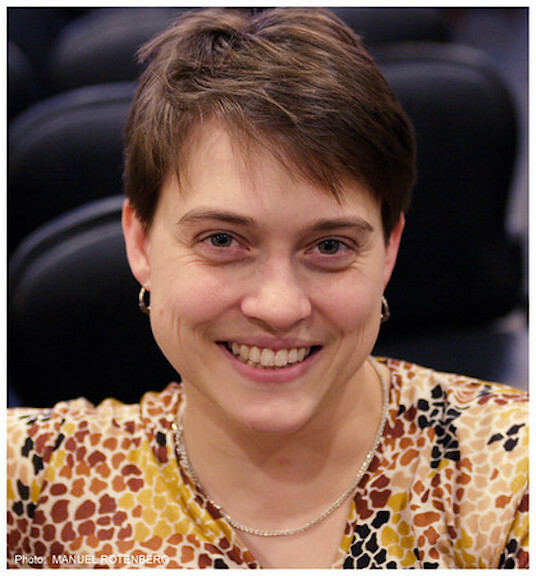 General director Kathryn Smith will discuss Antonin Dvorak and the history of his fairy-tale opera. Principal artists, stage director Keturah Stickann and conductor John DeMain will participate in a roundtable discussion about Madison’s production and their own takes on this masterpiece. Pre-Show Talks by Kathryn Smith take place on Friday, April 26, at 7 p.m. and Sunday, April 28, at 1:30 p.m. at Wisconsin Studio at Overture Center, and are free to ticket holders. Post-Opera Q&A’s are on Friday, April 26, and Sunday, April 28, immediately following the opera in the Wisconsin Studio at Overture Center, and are free to ticket holders. More information — including cast biographies and a blog with Q&A interviews with some cast members — is available at https://www.madisonopera.org and https://www.madisonopera.org/2018-2019-season/rusalka/. 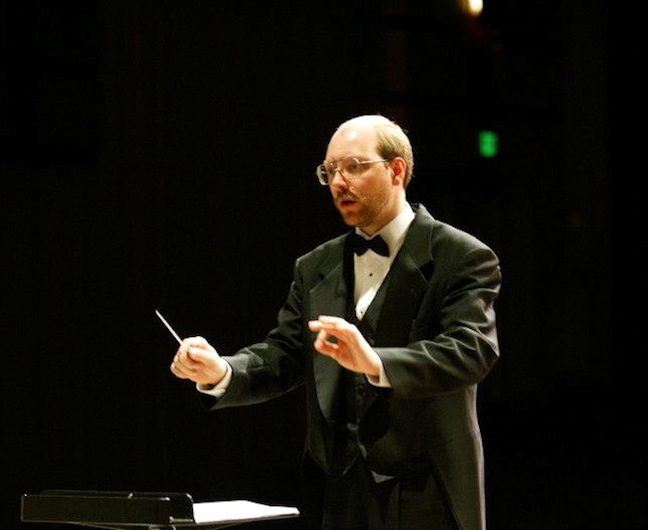 On this Sunday afternoon, Oct. 21, at 4 p.m., University of Oklahoma Professor Igor Lipinski (below) will perform a solo piano recital with commentary at Mills Concert Hall of UW-Madison’s Mead Witter School of Music. Mills Hall is located at 455 North Park Street in the George Mosse Humanities Building. Since classical music from Poland has been rarely performed in concert halls in Madison, this recital will be a unique occasion to experience Poland’s musical heritage and diversity. This concert also commemorates the 100th anniversary of Poland regaining independence at the conclusion of World War I, after 123 years of its partition and disappearance from the map of Europe. Please join our local Polish community in celebrating this joyous occasion through appreciation of beautiful and captivating music from some of the Poland’s most important composers. This event is organized by the Polish Student Association of UW-Madison and Mad-Polka Productions, with cooperation and financial support provided by Lapinski Fund (UW-Madison German, Nordic and Slavic Departments) and the Polish Heritage Club of Madison as well as the Sounds & Notes Foundation from Chicago. Prof. Igor Lipinski is native to Poland and currently teaching at the University of Oklahoma. At the age of 12, he won a Grand Prize at the Paderewski Piano Competition for Young Pianists in Poland. He is a musician, piano teacher, performer and also a magician, sometimes surprisingly combining all of his interests during his performances. He received his Doctor of Musical Arts in Piano Performance from Northwestern University and since then performed over 100 concerts, both solo and with orchestras, all over the U.S. This will be his debut in Madison. 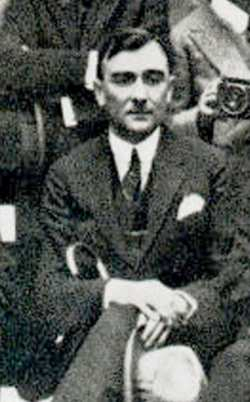 Karol Szymanowski (1882-1937, below): Part of “Young Poland” group of composers at the beginning of 20th century, Szymanowski composed operas, ballets, sonatas, concertos, cycle of songs, string quartets. Many of his compositions were also inspired by Polish folk music, including the famous ballet “Harnasie” based on the culture of Polish highlanders which he experienced while living in Zakopane. 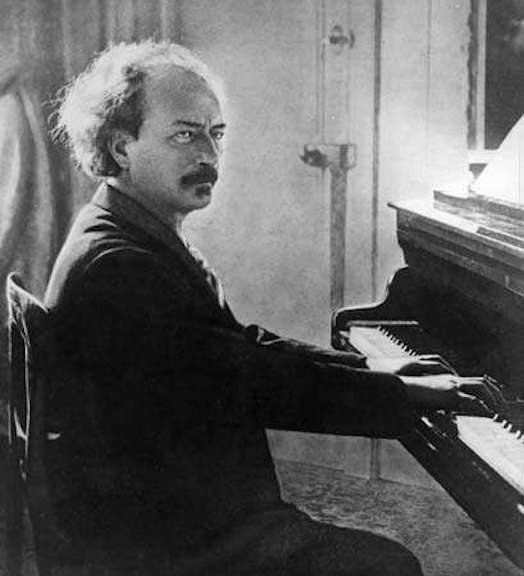 Ignaz Jan Paderewski (1860-1941, below) was a remarkable figure in Poland’s turn-of-the-century history. He was a pianist, composer, statesman, politician, philanthropist, actor, businessman, patron of the arts and architecture, wine grower and humanitarian. As a pianist, he was praised for his interpretations of music of Chopin, Liszt, Bach and Beethoven. He successfully toured western Europe before eventually setting off for the USA. Starting with his first 1891 tour he crossed U.S. about 30 times in his 50-year career. He was a very popular, charismatic and somewhat extravagant figure, which eventually resulted in “Paddymania” phenomenon. 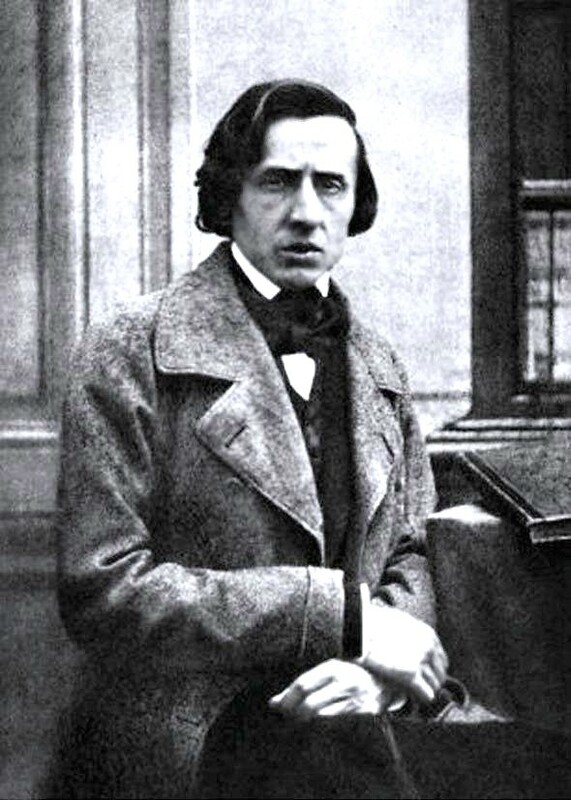 He was largely influenced by Chopin in his composition of sonatas, concertos, polonaises, Polish dances, symphonies, mazurkas, krakowiaks, minuets and even one opera. He also relentlessly supported and lobbied for Poland ‘s independence as World War I unraveled. He influenced U.S. politicians and played a crucial diplomatic role in Poland regaining its independence in 1911. 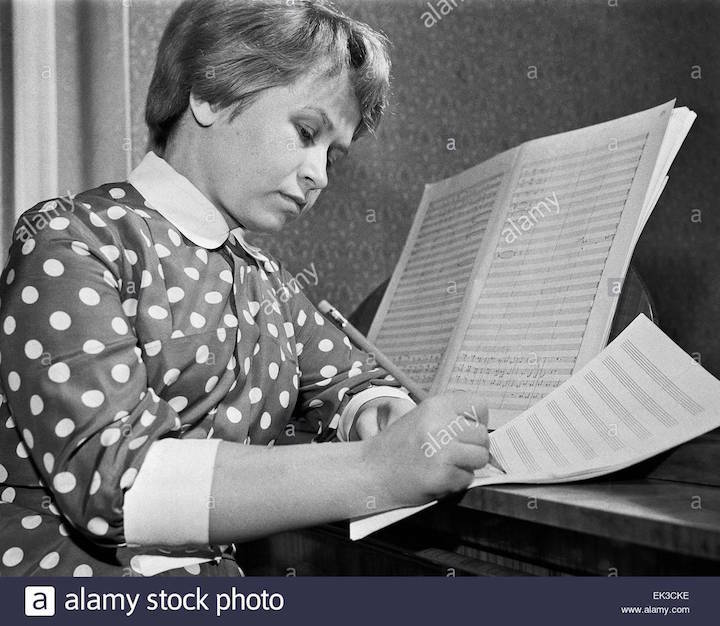 Grazyna Bacewicz (1909-1969, below): Violinist, pianist, teacher, writer and composer, she was one of the few female classical music composers at the time in Poland and in the world. Thanks to a generous grant from Ignaz Jan Paderewski, she was able to study music in Paris. 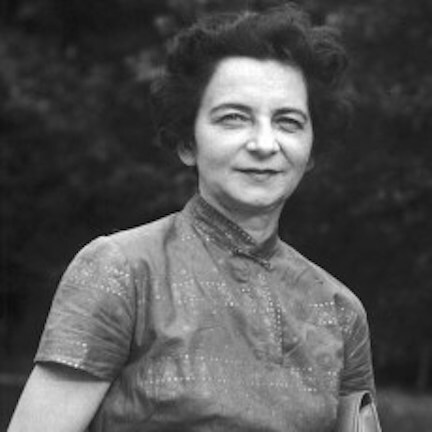 She composed numerous concertos, string quartets, sonatas, symphonies. 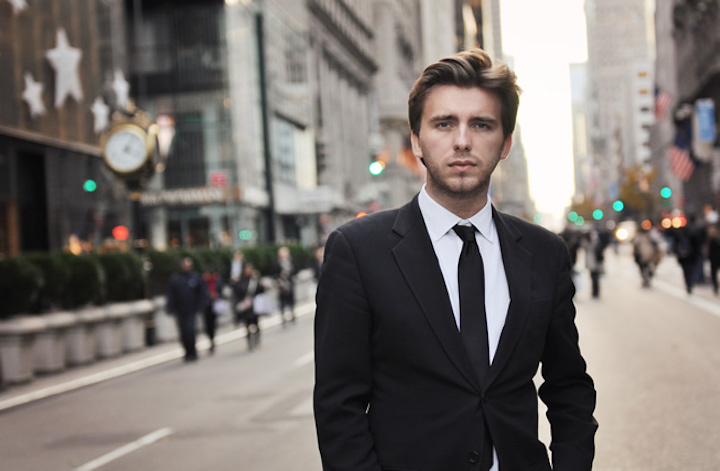 Pawel Mykietyn (1971-, below in a photo by Oliva Soto): Composer, clarinetist, member of Nonstrom Ensemble. 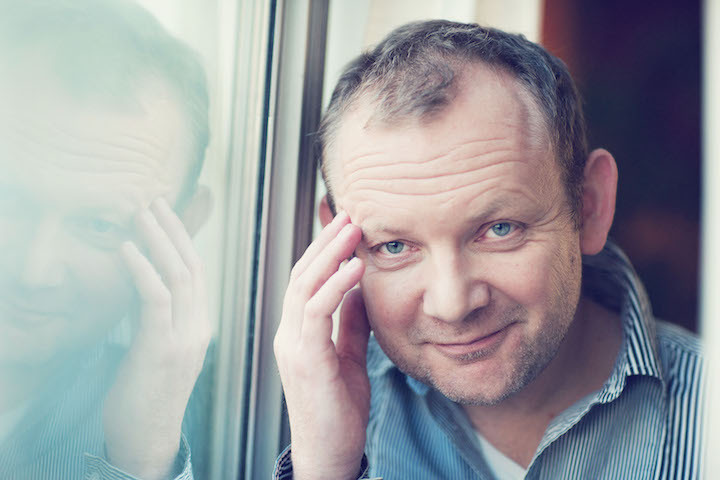 In 1995, he won a first prize in the young composers category during the UNESCO composers competition in Paris. Mykietyn’s composing style is at times aggressive and postmodern, incorporating sharp rhythms to create a vivid and provocative sound. He has composed concertos, sonatas, symphonies, preludes and string quartets. Thanks to all the sponsors and community support, this concert is FREE and open to the public. Early August is bringing another blast of summer this weekend. Here come the heat and humidity again. The Ear loves certain music and composers who seem particularly listenable and enjoyable in summer. One is the French master Francis Poulenc, whose works often have a certain light, airy and playful quality to them. But recently, on Wisconsin Public Radio, The Ear heard another winner to hear in hot weather. 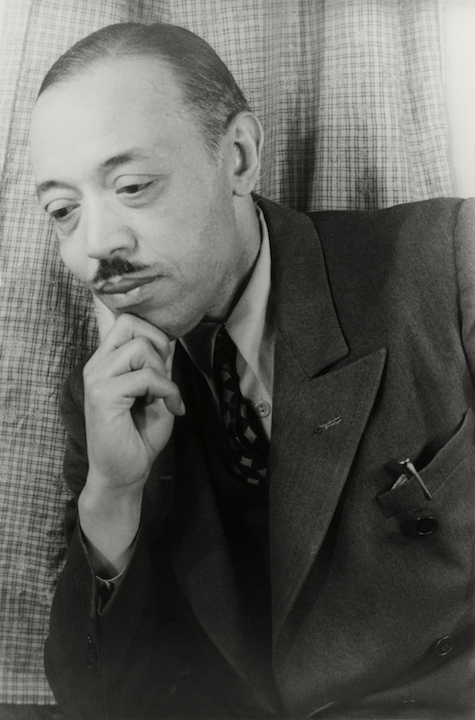 It is the piano piece “Summerland” by William Grant Still (below in a photo by Carl Van Vechten), which you can hear in the YouTube video at the bottom. It is a relaxing and dreamy work, beautiful and very summery with suggestions of the blues and Debussy. 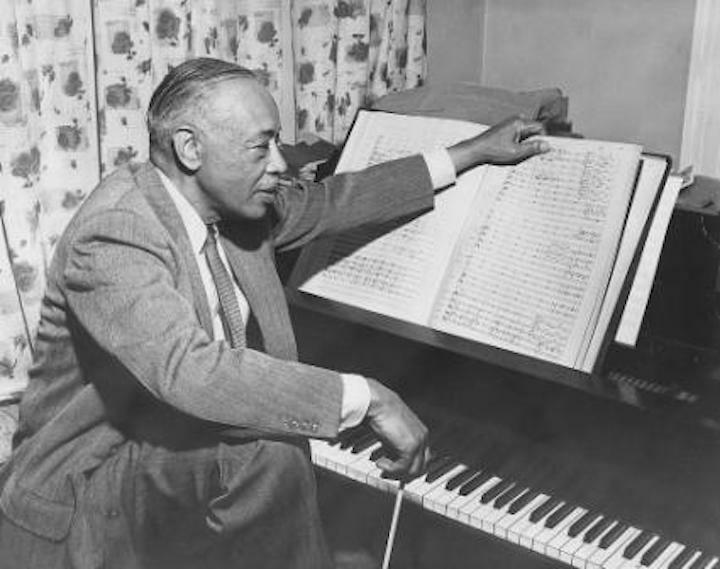 William Grant Still (1895-1978) was a very successful and major African-American composer of classical music as well as a conductor. He has been experiencing a long overdue revival lately. If you like this music, link or forward or share this post. This weekend, Con Vivo — or music with life (below) — concludes its 16th season with music of Bartok, Dvorak, Beethoven and Brahms. 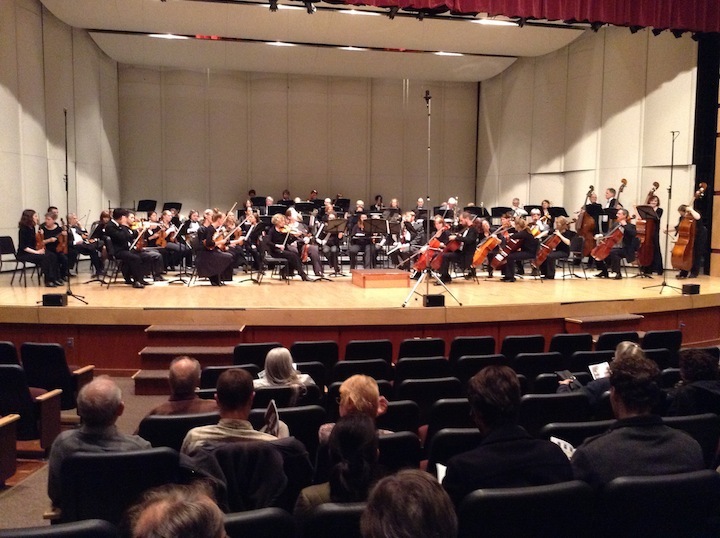 The concert takes place on this coming Saturday night, June 2, at 7:30 p.m. in the First Congregational United Church of Christ, 1609 University Ave. across from Camp Randall Stadium. Tickets can be purchased at the door for $18 for adults and $15 for seniors and students. 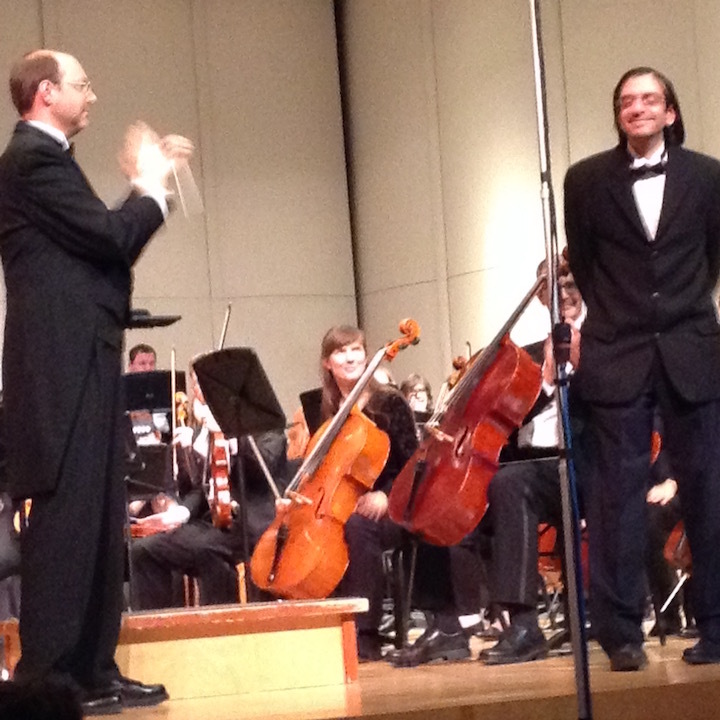 Audience members are invited to join the musicians after the concert for a free reception to discuss the concert. New to this concert: Con Vivo will perform in the Chapel at First Congregational Church, creating a more intimate chamber music experience for the audience. 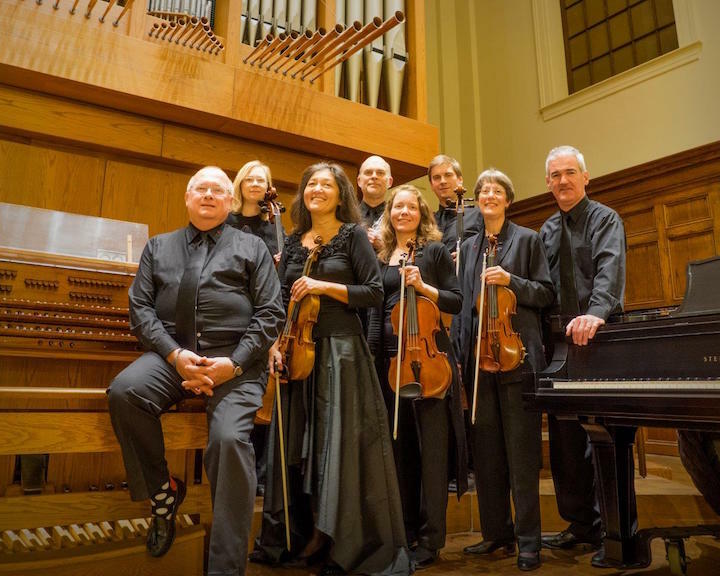 Con Vivo is a professional chamber music ensemble comprised of Madison area musicians assembled from the ranks of the Madison Symphony Orchestra, the Wisconsin Chamber Orchestra, and various other performing groups familiar to Madison audiences.